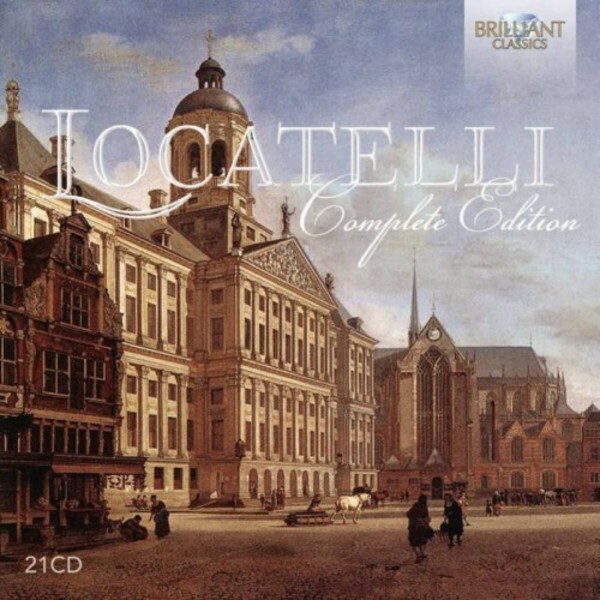 Pietro Antonio Locatelli was one of the most important composers of the Baroque period, being a particularly celebrated composer of violin repertoire. His collection L�arte del violino contains 12 violin concertos with 24 caprices in the first and last movement of each, allowing for astonishing displays of virtuosity. He was born in Bergamo, Italy, in 1695, and at the age of 16 went to Rome to study the violin. Despite the popular myth that he was taught by Corelli, it�s unlikely that he ever made contact with him. However, he certainly studied with members of the Corelli �school�, improving both his compositional skills and his performing technique. Although details of the composer�s life are somewhat sketchy, it�s clear Locatelli was linked to some of the most influential aristocrats of the time. At some point he was under the protection of Monsignor Camillo Cybo, an advisor to the Pope; at another point, he was granted the title of �virtuoso da camera� by the Habsburgian governor of Mantua Philipp von Hesse Darmstadt. Just these fleeting details are enough to tell us of Locatelli�s growing reputation for virtuosic playing. In Munich in 1727 he was awarded 12 gold florins for a performance, and he pops up again in Germany in 1728, receiving money for services to the court in Kassel. Eventually, business savvy Locatelli ended up in Amsterdam, where the music publishing industry had taken off. Thanks to the composer�s meticulous attention to the publication of his works, and the fact that he was legally required to give copies to the Leiden University library, we are left with excellent manuscripts of his Opp. 1�9. His business acumen must have paid off, as his estate at the time of his death comprised large collections of works of art and old books, indicating an impressive prosperity. Locatelli was the forerunner of 19th century virtuosity, and the works on this release reveal a composer eager to exploit the sound of the violin. As well as writing technically demanding solo passages, however, he was also an inventive writer for the supporting instruments, demonstrating a superb knack for fugal writing, and intensifying the texture of the concertino group with the addition of a viola, something unusual for the time. This release is an excellent opportunity to become better acquainted with Locatelli and the wealth of music he composed throughout his life. Demonstrating the versatility of Locatelli�s writing, this set includes his Op.5 Trio Sonatas �o due violini o due flauti� for the violin as well as the flute, allowing the listener to experience the composer�s florid writing in two very different interpretations. Igor Ruhadze and his group Ensemble Violini Capricciosi have dedicated themselves to recording Locatelli�s works for some years now. Careful research, along with a genuine enthusiasm for the overlooked composer�s works, have led to a fine set of recordings, previously described by Gramophone as �brilliantly and at times breathtakingly performed�. The release also includes new recordings of the composer�s Concerti Grossi Opp. 1 & 7 and Introduzioni Teatrali Op.4, as well as the haunting Sinfonia funebre, a work to mark the death of an unknown woman in Rome. The vibrant playing of the Ensemble Violini Capricciosi is complemented by Musica ad Rhenum, led by highly acclaimed flautist Jed Wentz, who perform the Flute and Trio Sonatas. This release of 21CDs of listening pleasure represents excellent value for money - a compelling and masterful accomplishment just waiting to be enjoyed.